From pagans to Vikings, from the Brotherhood of the Sword to the Livonian Order, from Lembitu's resistance to Jüriöö, from Danish to Swedish to Russian rule, from the emergence of a national identity to Independence in 1918, from the Molotov-Ribbentrop pact and WWII to a nation once again under rule of a foreign power, from the Singing Revolution and the Baltic Chain to Re-Independence in 1991, Estonian history is one of extended suppression peppered with brief periods of hope and freedom. We live in times of hope and freedom, but these times are not free of neighborly concern: the Bronze Soldier riots, the hacks that followed, the abduction of an Estonian citizen, Crimea, Ukraine, and (recently) Vladimir Putin naming a regiment of the Russian air force "Tallinn". Familiarity with the “sleeping bear” next door may be the very reason that Estonians are stepping on the gas as they drive into the future. 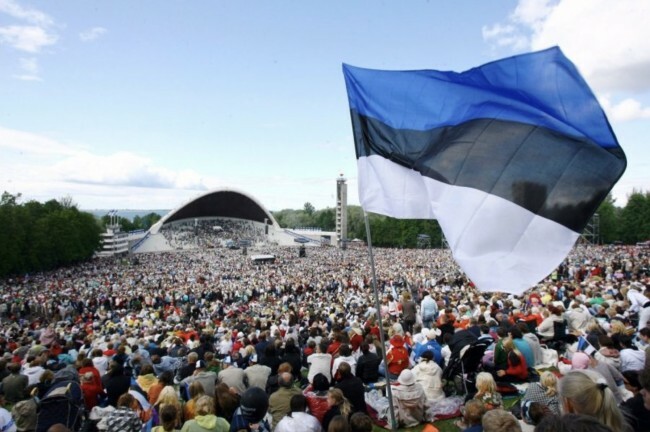 Estonia is a member of NATO and the EU, a nation with a lean government and a free market economy that ranks among the top for economic freedom and ease of doing business, a digital giant, a startup hub, and a nation that is still defining what it means to “be Estonian”. For Eesti’s 100th, let’s explore this. What does it mean to "be Estonian"? Do we need to love stew, beer, and verivorst? Do we need to know how to polka, waltz, and dance Tuljak (start-to-finish)? Do we need to drunkenly jump over the bonfire at Jaanipäev? 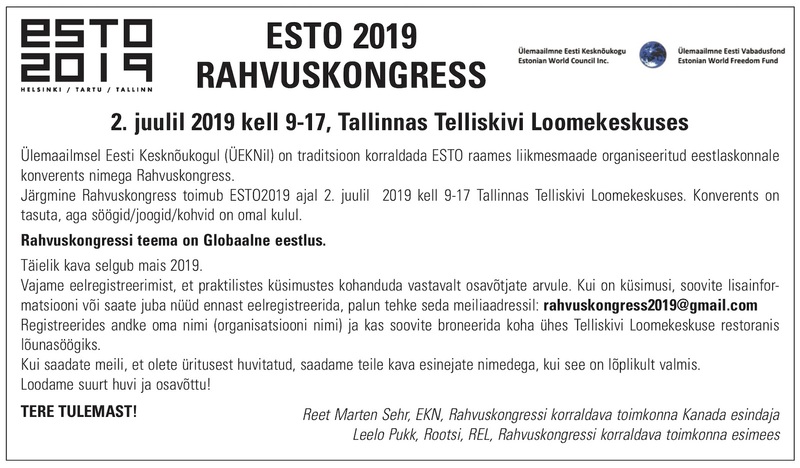 There are tons of questions we may use to measure how Estonian we really are, but on top of our shared history, there are, arguably, two things that connect us all: love of song and commitment to community. Song has been a part of the Estonian identity since that very identity began to take shape. Song was one of the driving forces behind Estonia’s push for re-independence in 1991. It makes sense then that Estonians love song. Songs that touch on the history of our homeland, celebrate a free Estonia, pull on the heartstrings, and touch on the ups and downs of what it means to be human. Folk songs in particular. 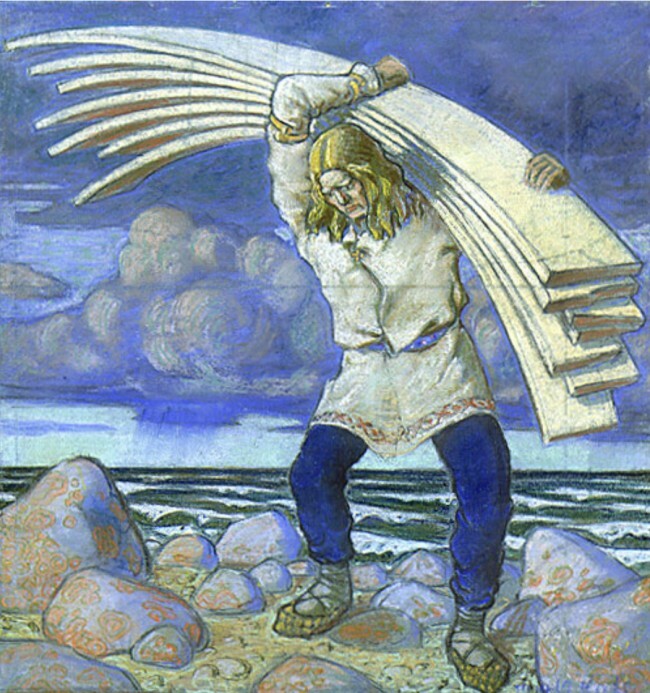 Folk songs connect all Estonians (at home and abroad). The language, the culture, the feeling of "being Estonian" lives on in song. So whether at summer camp, around a bonfire, or at Laulupidu in 2019, it is song that unites us all, and it is song with which we will pass the torch forward (as we have in the past). And while song and shared history are a major part of the Estonian identity, it's the shared experiences of recent years that define what "being Estonian" means to up-and-coming generations. It's Estonian school, folk song and dance, summer camp, volleyball, saun, bonfires, birthdays, holidays, weddings, and funerals. For us North Americans: it’s Suvekodu, Jõekääru, Seedrioru, Järvemetsa, and Kotkajärve. It’s the AK Kokteili pidu, EKL võrkpalli turniir, Vabariigi aastapäev, Suusapäevad, Jaanipäev, Suvihari, JK Jazz, Eesti Mängud, Suvepäevad, Läänerännikupäevad, ESTO, Laulupidu, Tantsupidu, and seeing Eesti with our own eyes. It's the events that bring us together and allow for shared experience and deeper connection that ensure a brighter future. It's these events that make us want to show up time and again. That make us want to spread the word, get involved, and give back. Deep, meaningful connections bring direction, a sense of well-being and belonging, and the opportunity to give of oneself for the betterment of the group. At different points in our lives, we need different voices. Different role models, guiding spirits, and forms of feedback and support. There are Estonians who have done well in all facets of life (health, wealth, family, pursuits, etc. ), and these folks are more than willing to give of their time and share what they’ve learned. 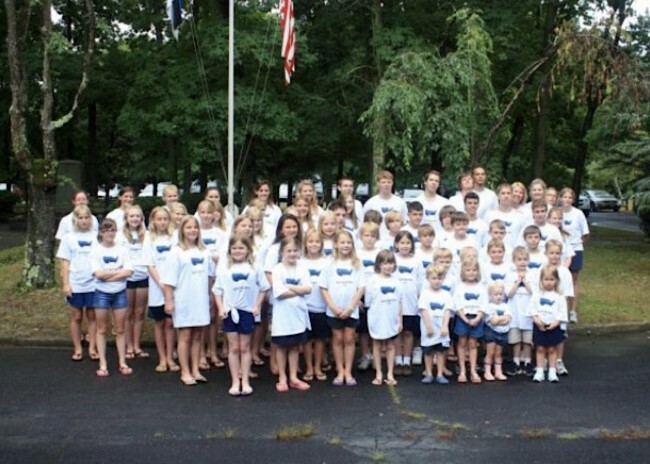 They understand that there comes a time to be “that voice” for the next generation, and that to lead a fulfilling and connected life, it takes more than a family. It takes a community. Eesti’s 100th is the perfect opportunity to appreciate where we’ve come from, where we are, and where we’re headed. 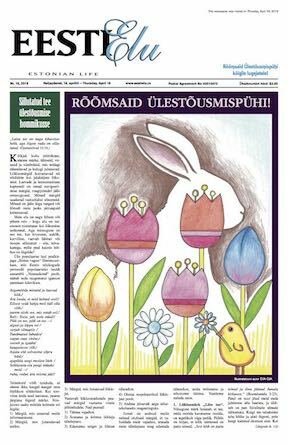 It’s the perfect opportunity to revisit and redefine what it means to “be Estonian”. To remember that our ancestors have lived through multiple periods where those that they loved and everything that they worked for was stripped from them, and to be grateful for the opportunities and freedoms that are available to us. To recognize the importance of song in Estonian history and appreciate the power that this vehicle holds for up-and-coming generations. But most importantly, to commit ourselves to one another and the community that’s raised us. The fact that the North American Estonian community has carried on for over 3 generations is a testament to those that got us here, to those that raised us, and to each and every one of us that remains involved. It's through our events, organizations, and shared experiences that Eestlus lives on at home and abroad. I’m grateful to be a part of this beautiful, little community and I hope you feel the same.